Let’s face it, C&C is pretty much dead right now (unless Bioware brings it back). To me it was dead right around C&C Generals, and the last true C&C games were Red Alert 2 and Tiberian Sun. This is OpenRA, a port of the FIRST Red Alert game. Red Alert was one of the first games I played on Windows 95 (though it also supported DOS), and I used to play a TON of skirmishes against the AI. It had a bunch of features going for it at the time that weren’t really seen in any other games. 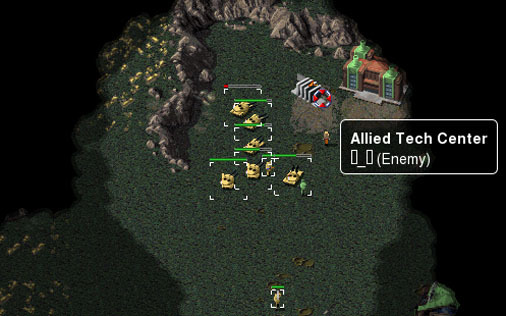 OpenRA lets you play Skirmish games against the AI, or online with other players. It even downloads all the assets from Red Alert (or C&C Tiberian Dawn), and it’s really easy to set up and start playing within minutes (though the music doesn’t come with the game aside from Hell March). It works cross platform with Windows, OSX, and Linux and is designed with modern video hardware in mind. You can play with up to 8 players (CPU or Human) and comes with a ton of maps (plus you can make your own). There’s even support for making your own mods for the game via the wiki.